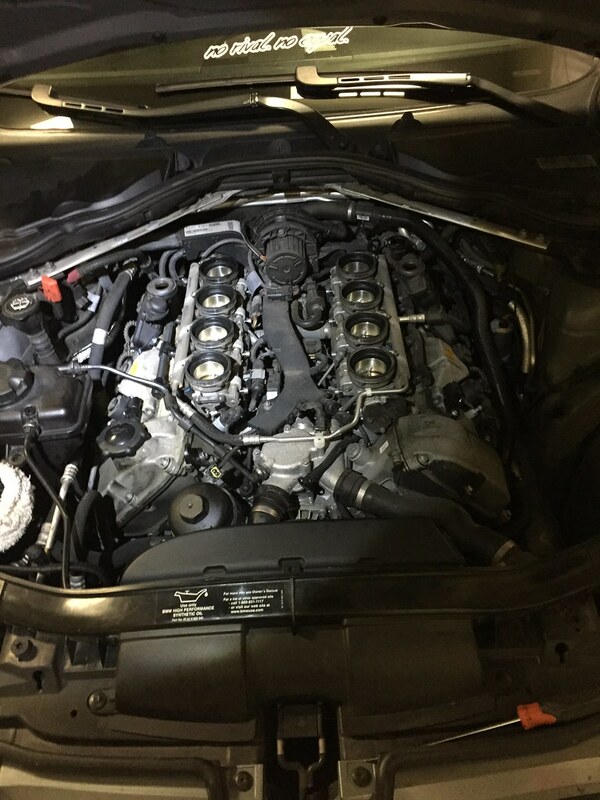 Im in the process of doing a spark plug and valve cover gasket change on my M3 and while removing the plenum and intake I noticed they where very dirty after 1 year of tracking. The intake box even had some pieces of rubber marble! 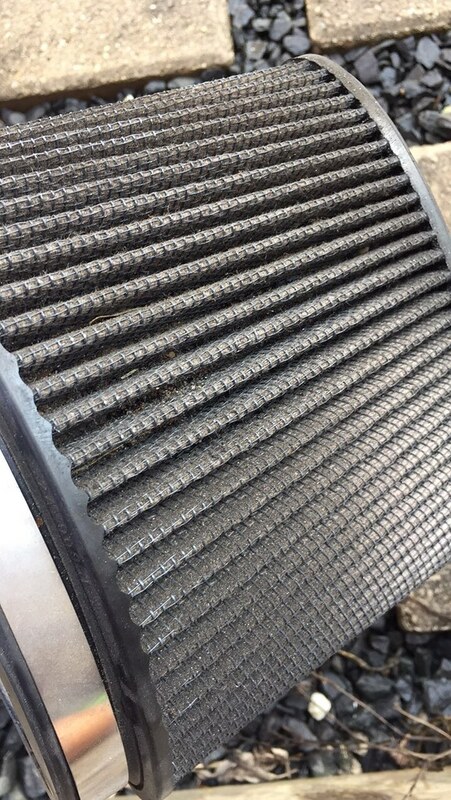 Very dirty engine bay… All that dust from tracking and dirt getting kicked up. With the plenum and intake box removed I can now change the spark plugs and valve cover! Which I will do this weekend. A track tire has lower tread wear rating than a street tire. When a tread wear rating is lower it means the tire wears out faster. For example a 200 tread wear tire will wear out faster then a 300 tread wear tire. Doesn’t matter how you drive it, a lower tread wear tire will always wear out faster. I’ve seen some tires with tread wear of 40! 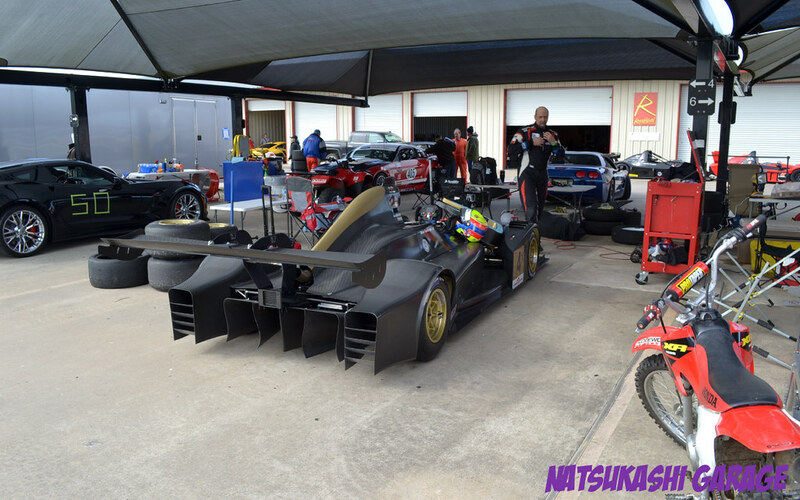 They would probably last maybe one or two track days depending on how use them. A good balance for a tire that is capable on the street and track is the 300 tread wear range. 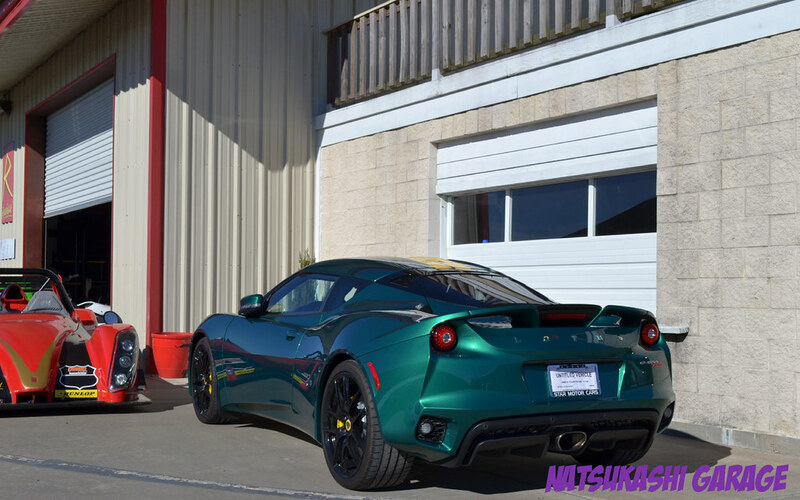 The Michelin Pilot Super Sport is a good example. It doesn’t wear out too quickly for daily street use and still capable at the track. 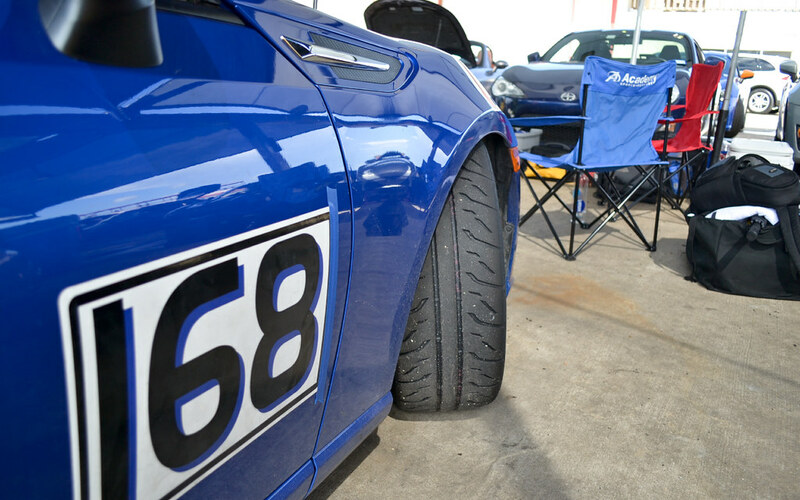 Track tires have a softer compound which sacrifice rubber faster to get the additional grip. 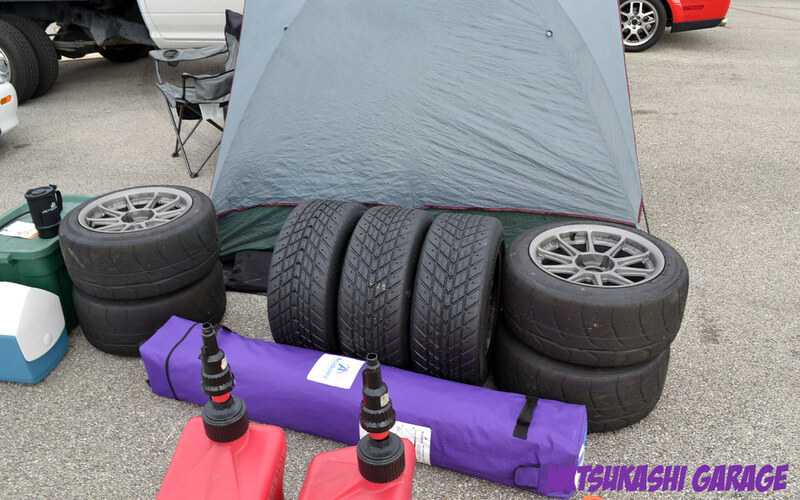 To get more grip you need softer compound tires but the downside is they don’t last as long compared to a higher tread wear (harder compound) tires. The tread design (pattern) on a track oriented tire is more aggressive than a normal street tire. Not only it looks cool but the aggressive pattern on track oriented tires provide more grip particularly in the dry then in the wet. The aggressive tread design allows more rubber to be contacting the road. The downside to this you sacrifice wet grip performance. 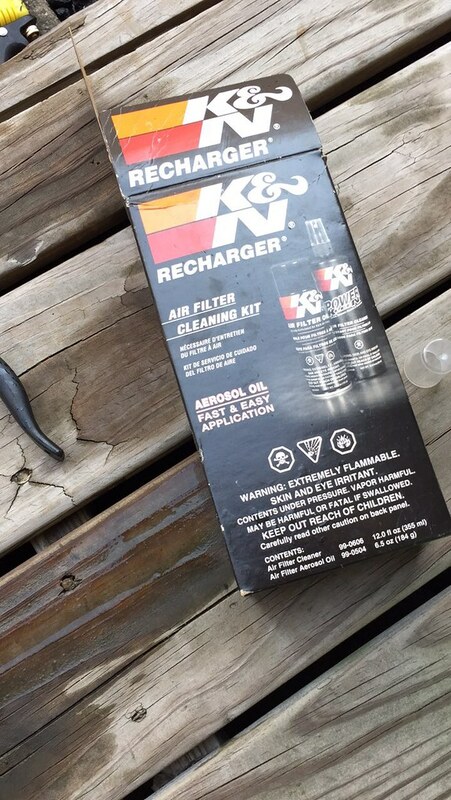 The bigger rubber contact patch with less groves doesn’t channel water out effectively compared to a street tire. Sometimes track tires are so horrible on the wet and all you do is slide all over the road. Ive been there. With a softer compound and more aggressive tread pattern, has another drawback that you sacrifice. Its road noise and harsher ride. Track oriented tires produce a lot more road noise than a street tire. Some people are thinking is not bad but you will hear a difference. Some track oriented tires sound like mud tires or as if your wheel bearing is bad. 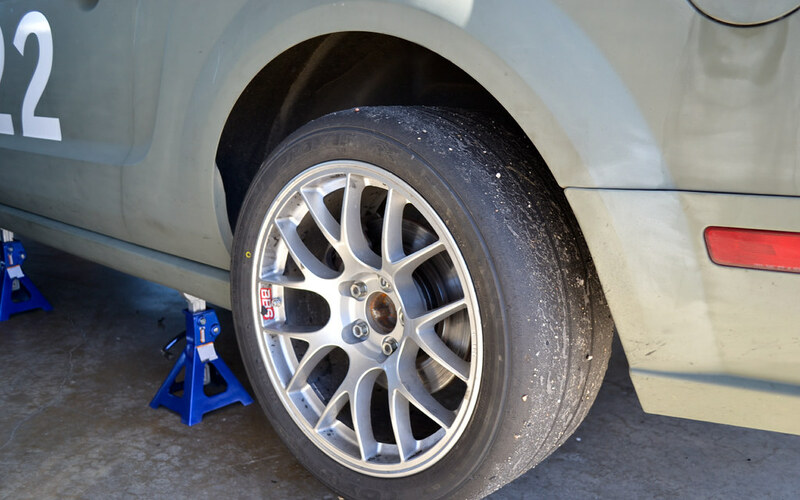 When I switch back to my street tires from the track I do notice the car is a lot quieter, more civilized. The sidewalls on a track tire is a lot stiffer then a street tire. A stiffer side wall allows better road feedback but when you are on bumpy roads you really feel it. Not in a comfortable way either. For more performance you sacrifice some comfort too. 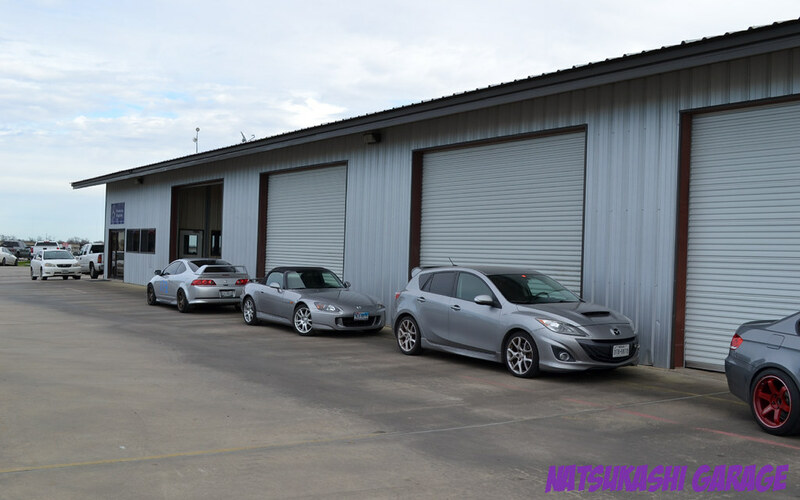 Is it worth spending the extra money to buy more aggressive tires for the street? Nope…. and here is why. 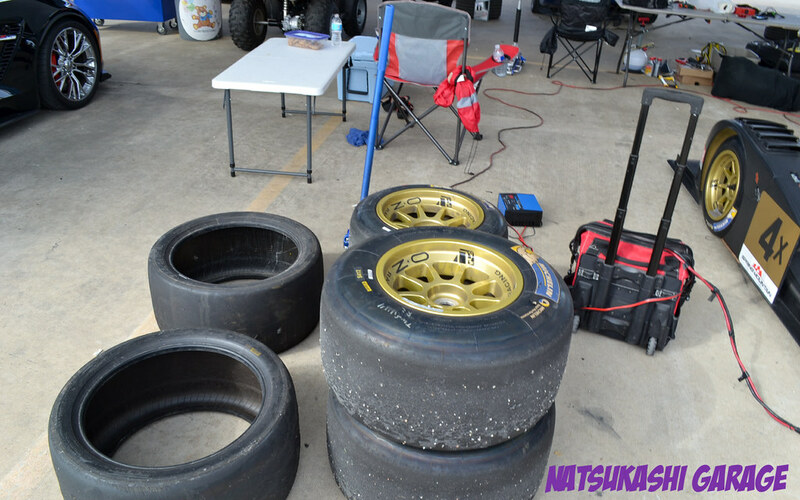 Track tires or track oriented tires for that matter was designed to perform, at its best, on the track. 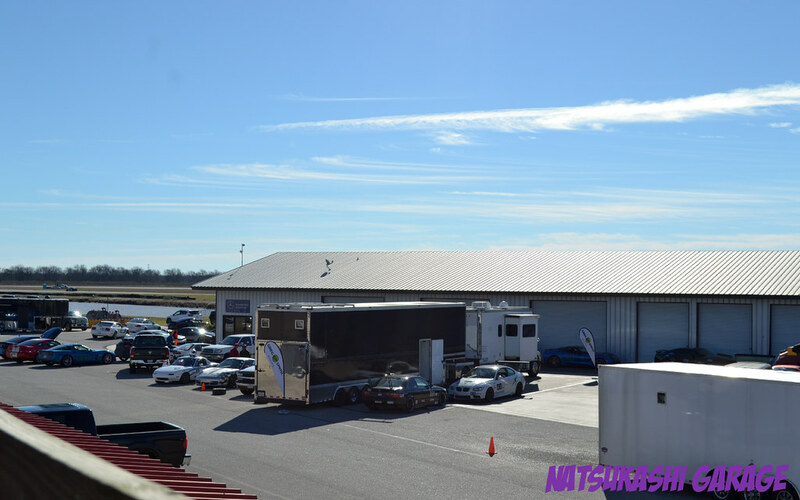 At the track you are hitting 1g constantly, heat generated at the track makes the tires sticky providing more grip as you continue doing laps. 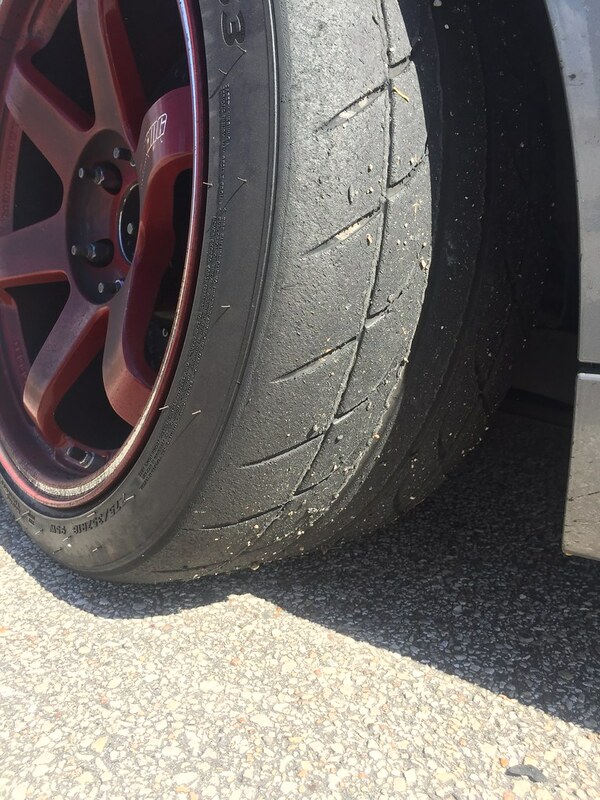 On the street, you don’t subject your tires to that abuse you see at the track. You’ll never get a track oriented tire up to its full grip on the street becuase the tires are too cold to generate enough grip. Im pretty sure that’s why some cars crash on the street becuase of this. Regular street tires gets the job done just as fine. At least with street tires they are more forgiving at the limit and its at lower speeds when they lose grip. Basically you are not using the track tire to is full potential on the street because you are under using the tire. People are just wasting money on a tire that wears out faster, poor wet grip, noisy tire, and more uncomfortable on the street. Sure it may look cool and can say it has more grip but honestly it wont grip as much unless you track it. You wont look skinny if you just wear the gym clothes, you actually have to go to the gym. Its just my opinion and maybe some of the readers might get hurt or some might agree but thats what makes the car community soo diverse. Some people are more for the show and thats it. I was about that once. 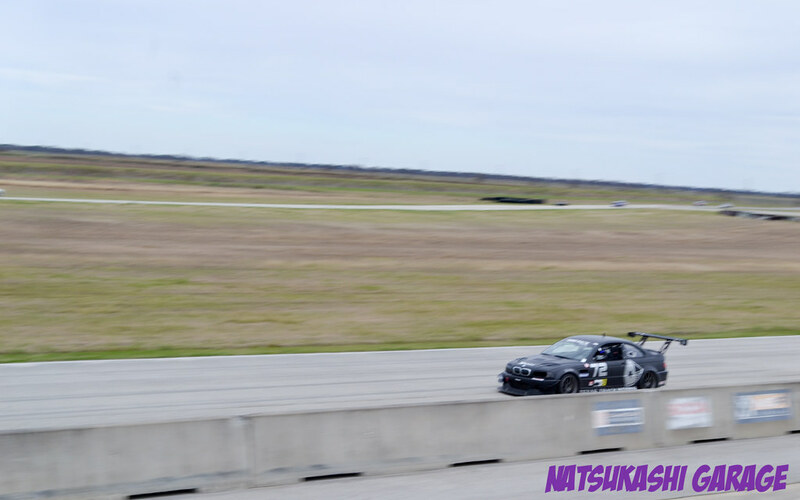 But for me, if I did a mod for the M3 its going to be for the track and not for a show… Because why pay money to park your car and stand around when you a can pay to to drive your car and yourself at the limit and learn some new things along the way. The start of the 2017 track season went off very well! The weather was very chilly with morning temps in the low 40s. This was first tracking in the cold weather and was interested how the car is going to handle since it might take longer for the tires and brakes to get up to temp. 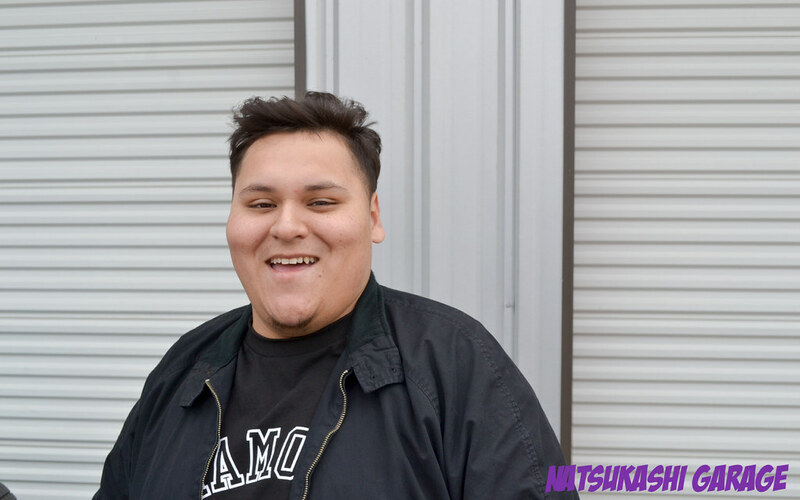 I invited my friend Alex from Street Form to come by and see what a track is all about. This was his first time attending a track day and I hope to make it a good one. Kinda shows a different side of the the car since which isn’t just trailer queens. Some of my track friends also joined in on the fun. 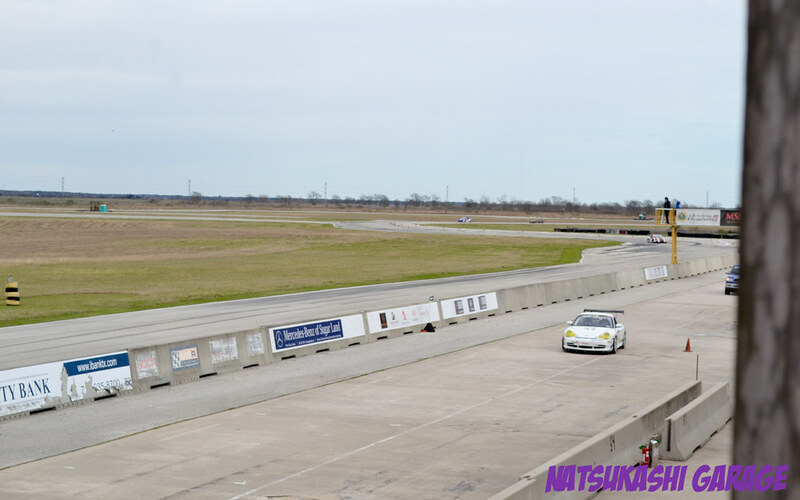 Nick currently drives the silver Miata and runs in the Time Trial classes. 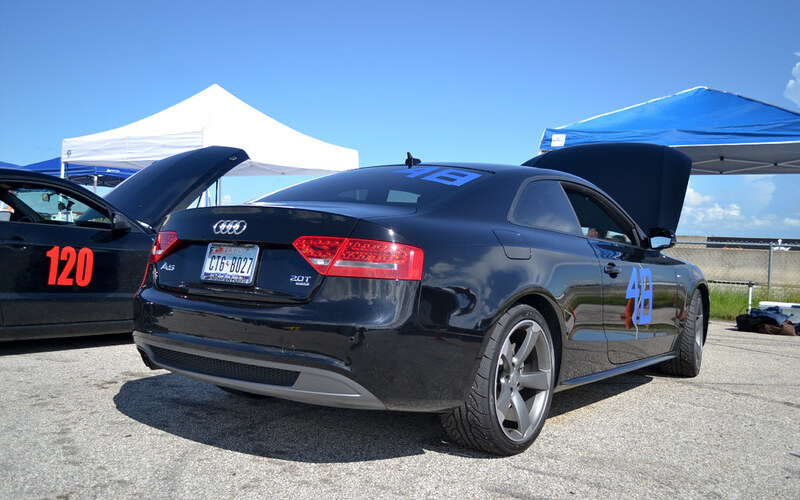 His fastest time was 1:48 second range and won 2nd place in his class. 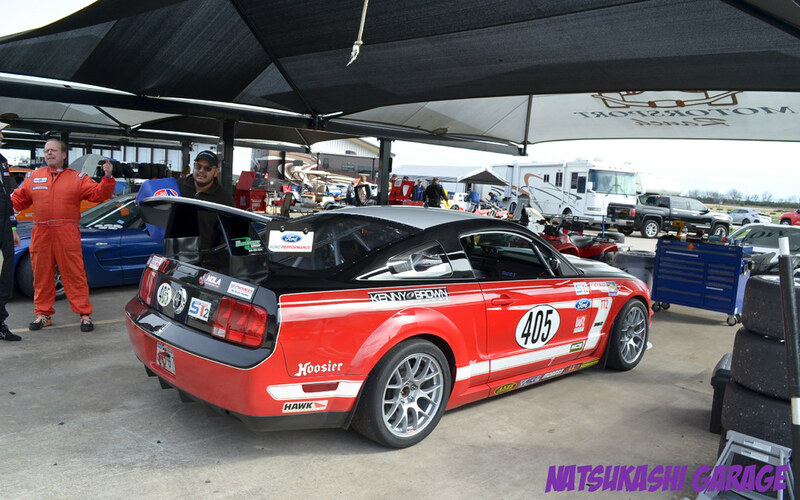 Lenard’s BOSS Mustang, this is his 2nd track event but his first time at this track. By the 2nd day he managed to move up to DE 2! 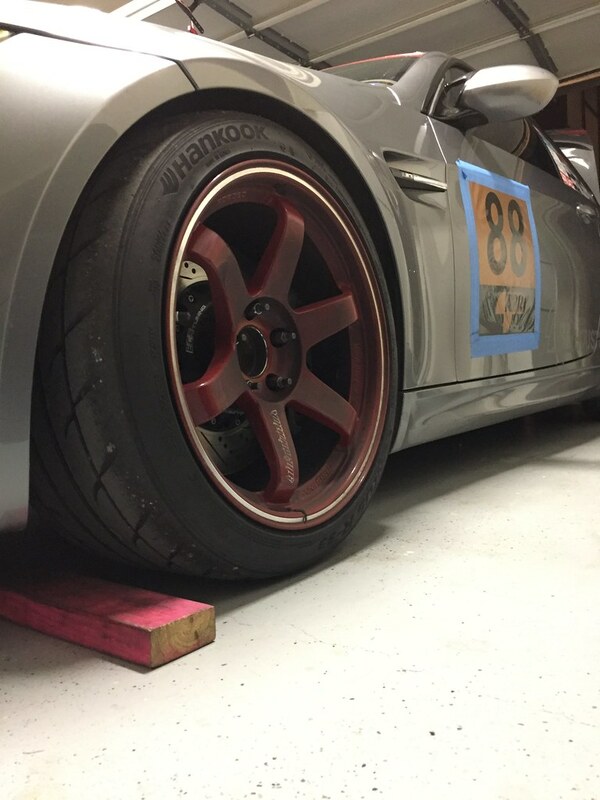 The track mods already starting, with a spare set of BBS wheels with Hankook RS3 tires just for the track. He even removed his seats haha. Speaking of rear seat removal I also removed mine haha. I didn’t really feel much of a difference at the track but it sure look more race car. 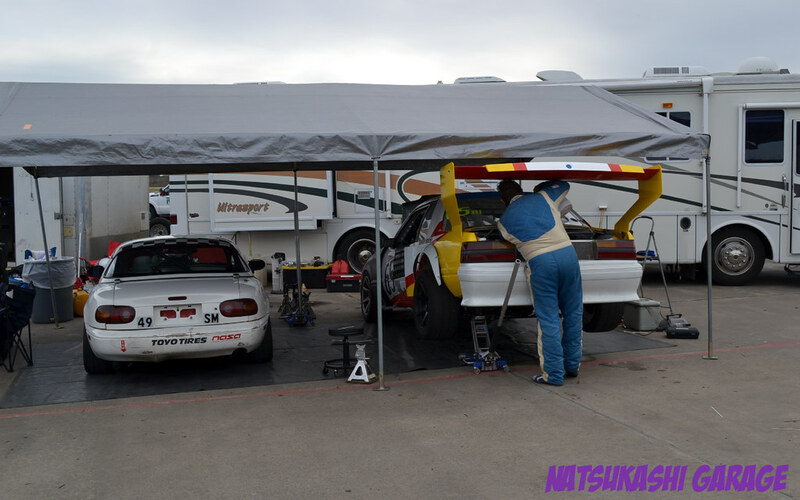 My other track friend Kaina tracked his Silver RSX and he managed to clock under the 2 min range with street tires! 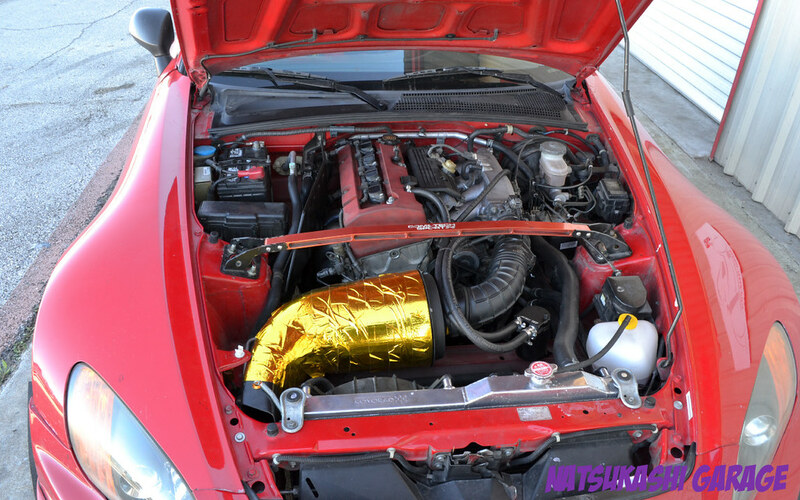 His mods might not be much but its really the driver and not the car that make you better. 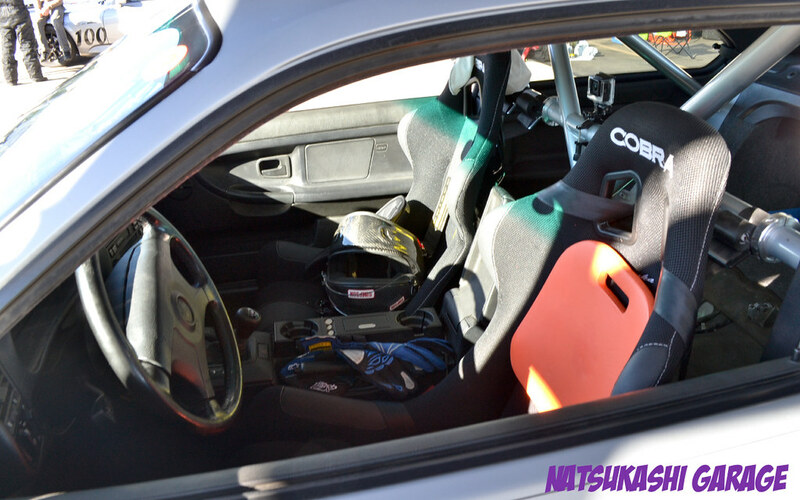 More seat time is the what helps you improve. Before tracking, he was about the stance life. Greg Smith Racing and their all white E92 M3. I met the owner and the rest of the crew and they were really nice folks. 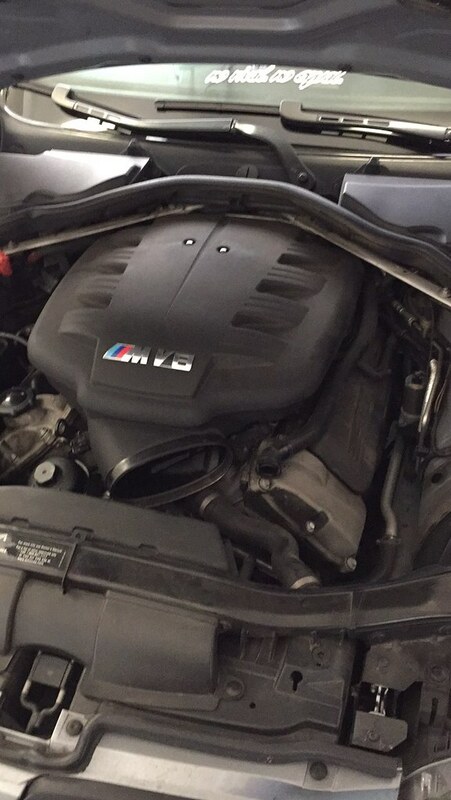 I got some tips on future track mods for my e92 M3. The sure know how to set up an M3 because they placed first in their class. Even the trailer/mobile home set up is pretty legit. Lots of races going on at NASA. 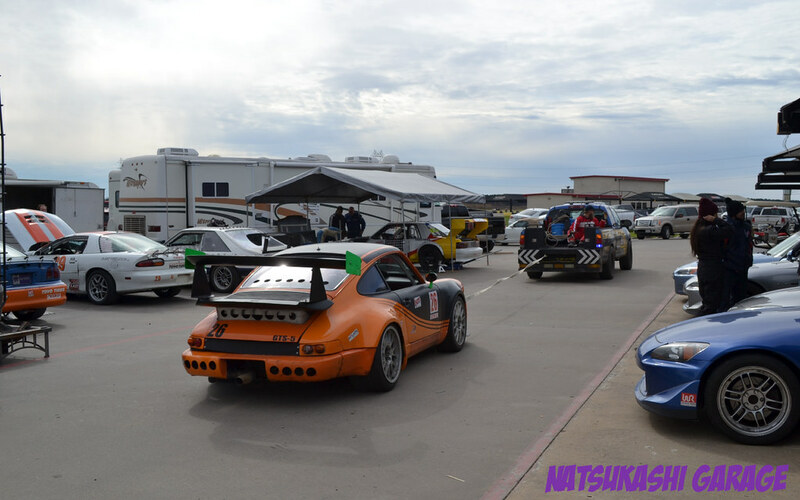 A GT3 Porsche pulling in the pits. You have different race classes going all at once. Kinda like how Le Mans series is. You have open wheel racing to time trials. All highly competitive. There was some few incidences. The Porsche was competing in the German Touring class another type of open wheel racing. I wonder what caused it break down. 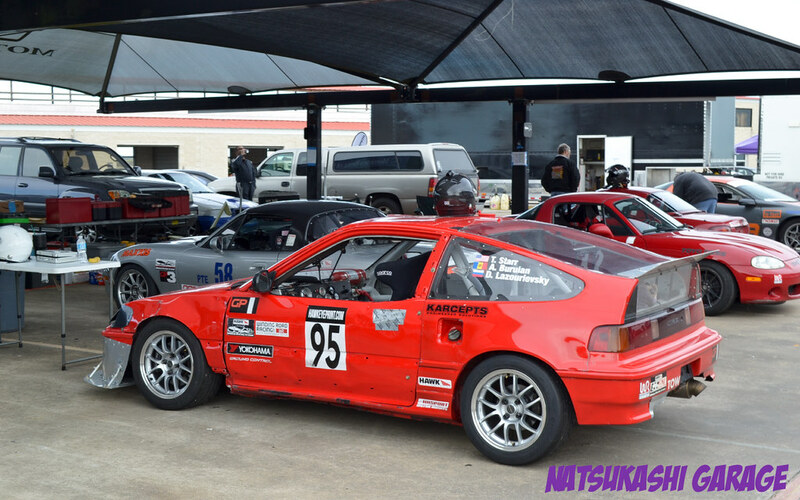 Miatas are a very popular cars to track because of its low maintenance cost but a Honda CRX is another great alternative. 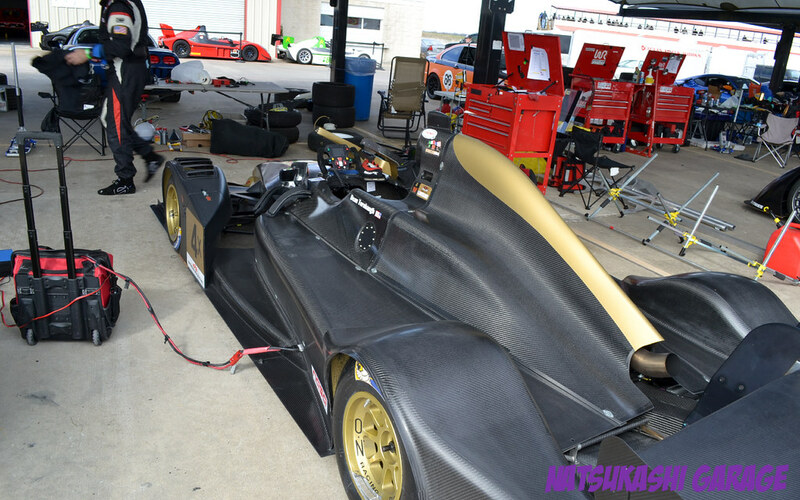 This radical had exposed carbon fiber as the body. The set up on this must be crazy and the owner must have deep pockets. 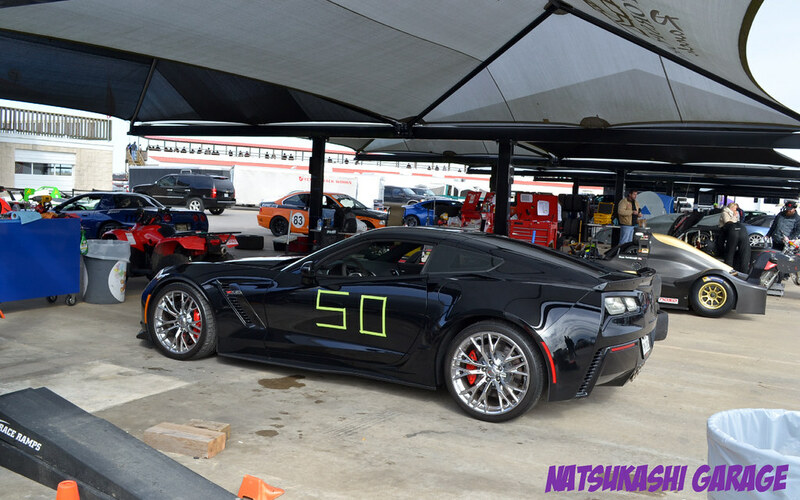 I happened to be in same run group with this black Corvette Z06 supercharged. Man that thing hauls and passes cars like they where not even moving. Sounded soo mean. It nice seeing people actually use their car they way it was supposed to be and not doing stupid stuff in the streets. More American muscle for ya. Two different styles but both track built. Beautiful yellow Porsche, worth north of 100k. 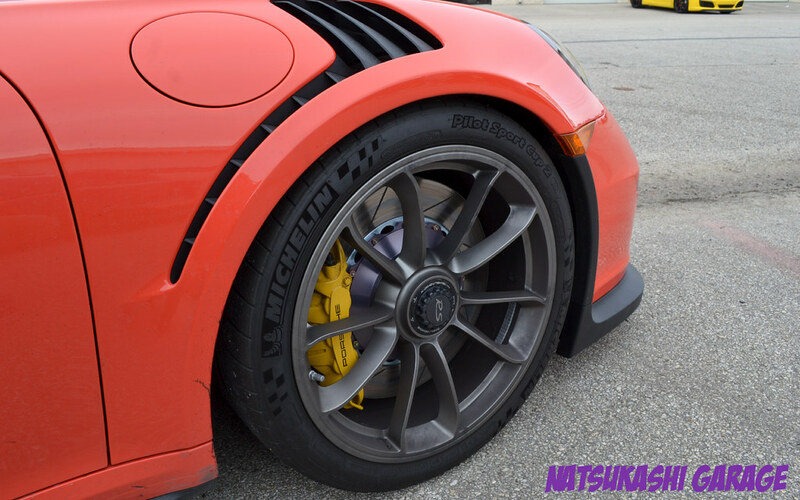 The brakes on the GT3 RS is art. 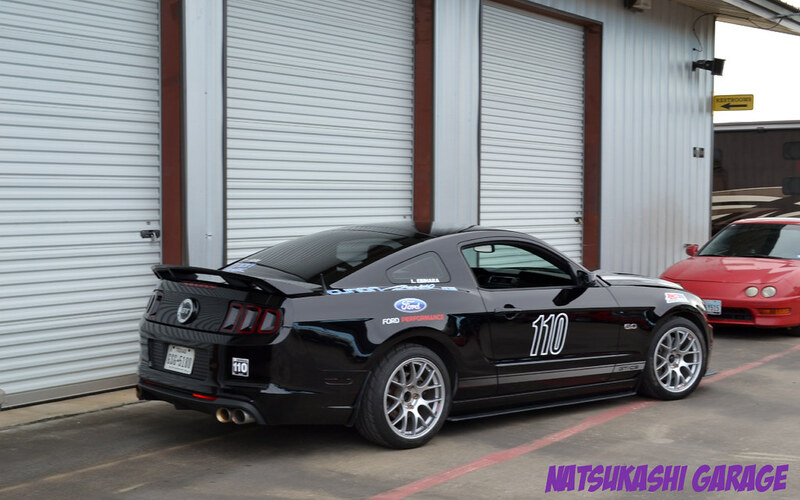 I can tell it has seen some track days too because you can see the rubber pick up on the side skirts and lower fender. 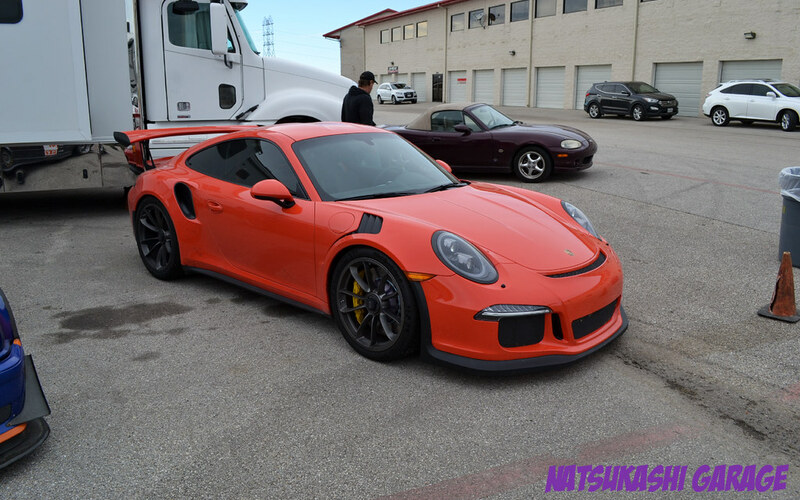 The GT3 RS was parked next to the Mills racing trailer/tent. 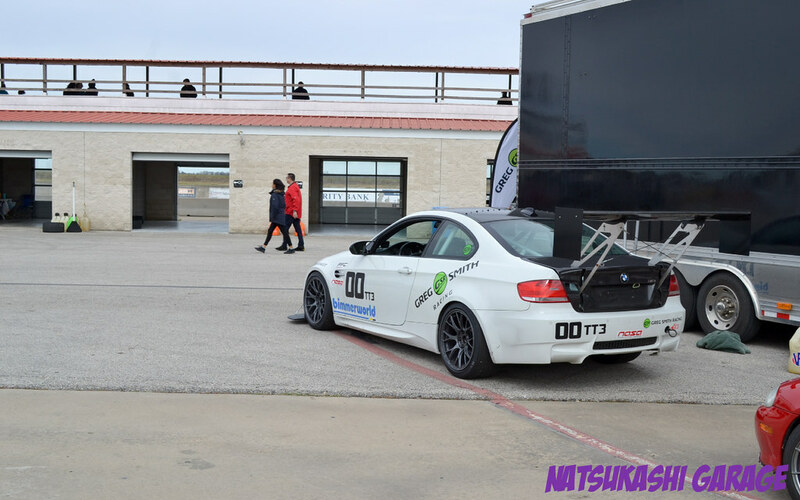 Did you know that Mills racing team actually races professionally and I was told that BMW wants the driver to race their M6! 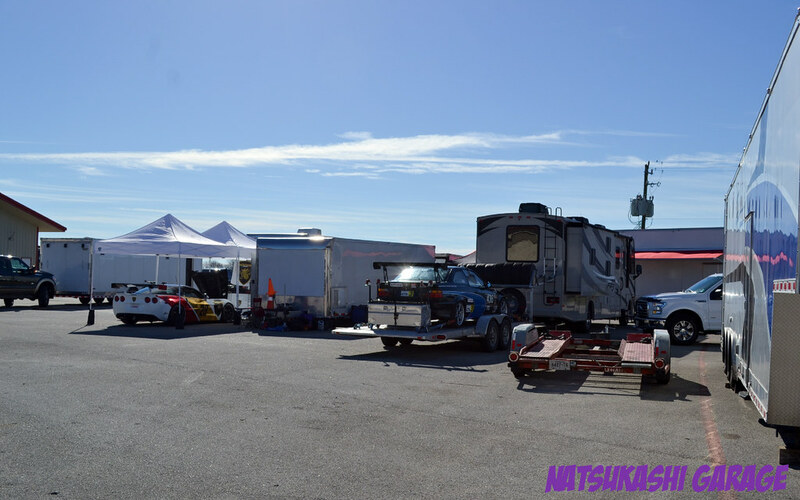 Their set up at the track was crazy and just goes to show even pro drivers will show up at amateur events. He is even selling his old race cars. Including this M3 GTR chassis with the S65 motor (the e9x m3 V8 motor)! It selling for a cool $55k including spare parts. 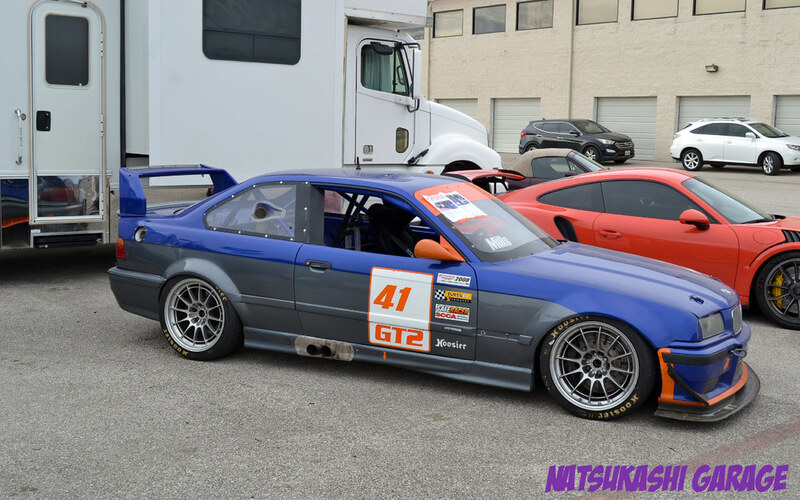 Man a real E36 M3 GTR powered by the S65 motor is bargain at $55k. Who wants to pitch in and start a race team? 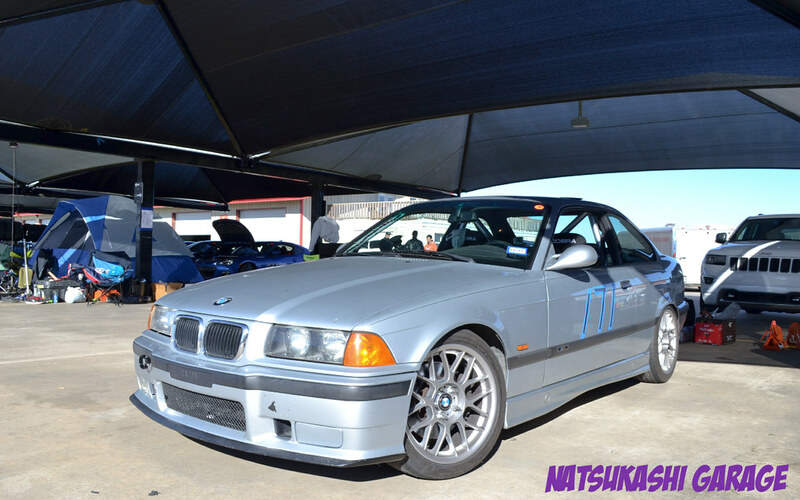 Here is another more mild E36 M3 with some track mods. I actually met the owner and was kind enough to share the garage! He car was built by the guys at Greg Smith Racing. The engine and drivetrain is all stock for reliability but almost every suspension component has been replaced and the rear interior striped with a half cage. 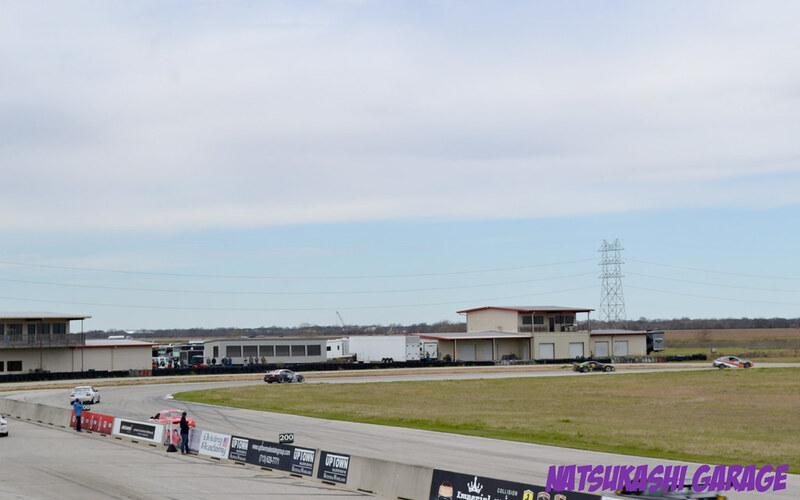 The E36 M3 pulling decent times in the 1:55 second range. 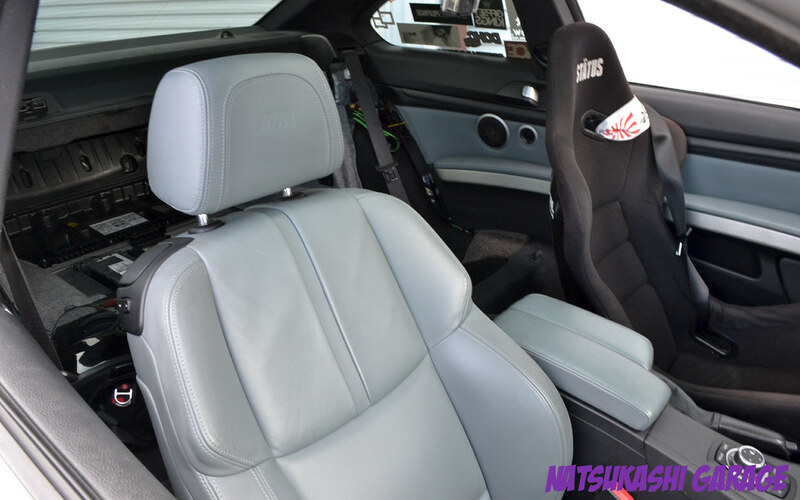 The office of the E36 M3. 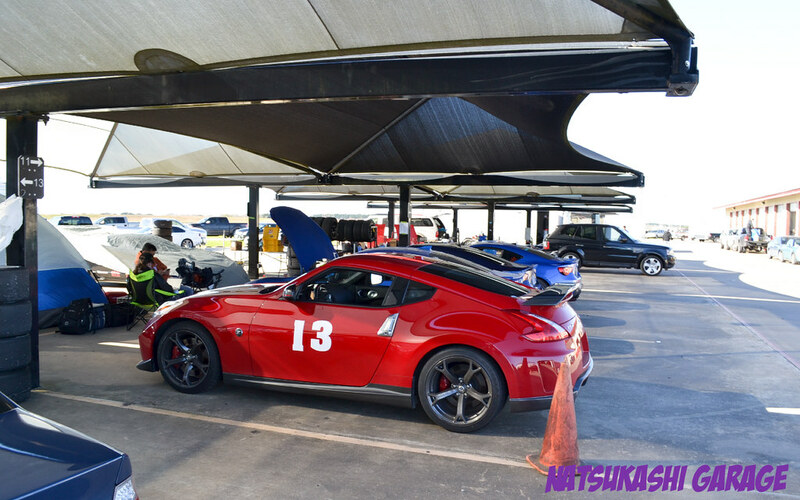 Very nice 370Z Nismo, and lady driven too. 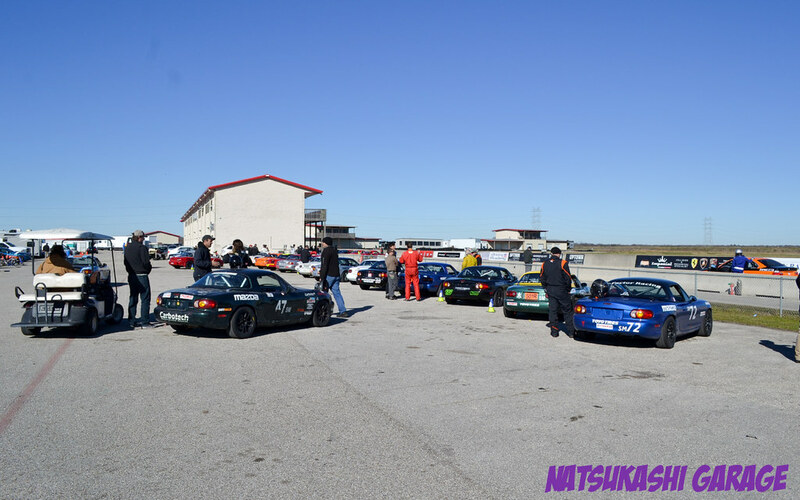 The spec Miata class. 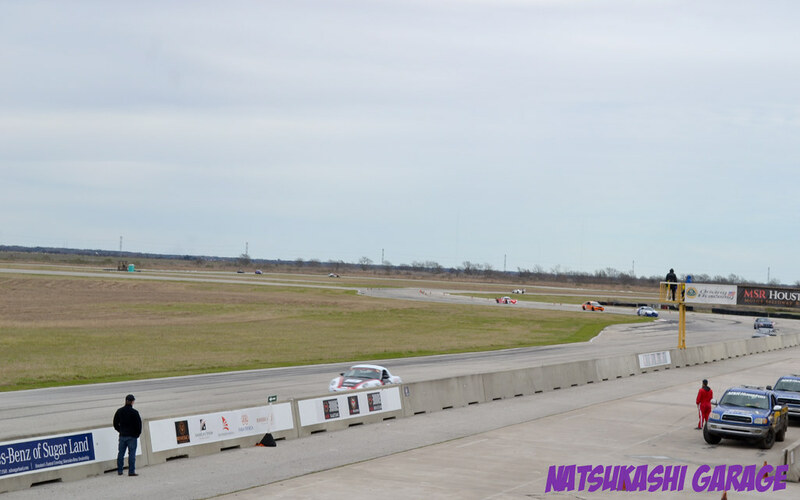 One of the most competitive open wheel racing that NASA offers. The rules are very strict that the cars are evenly match. Its mainly a drivers skill at this competition. 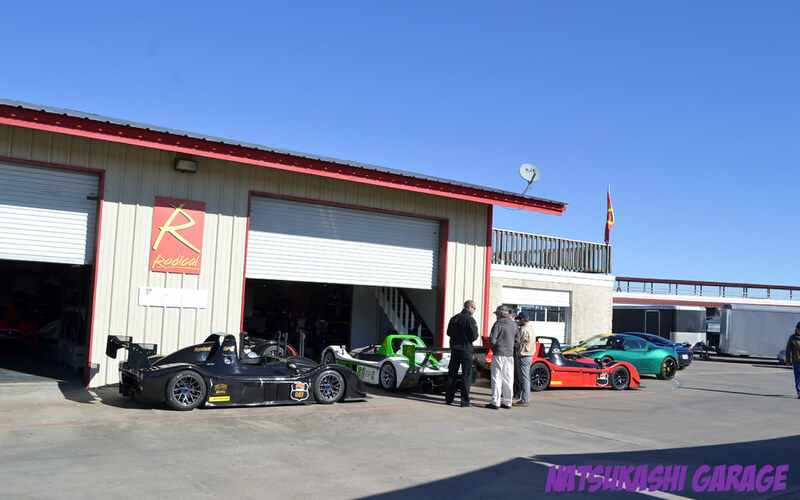 More radicals… they literally have their own garage at the track. 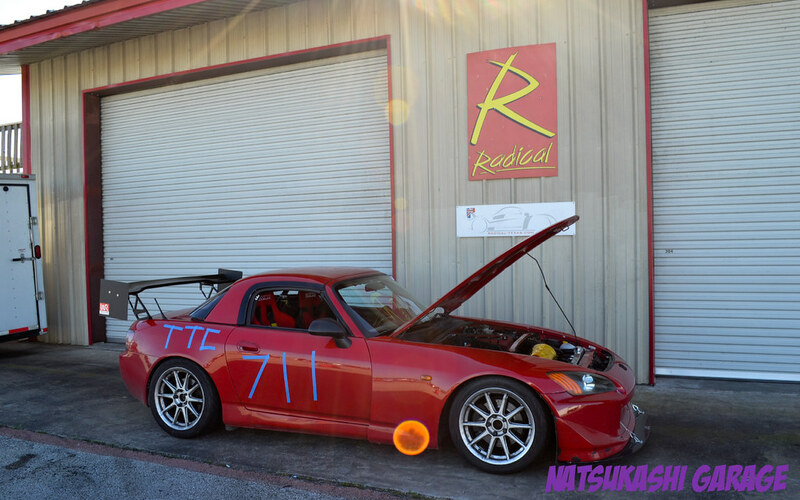 I managed to talk to the driver of this S2000 and he was in my run group in a couple of sessions. Those time trial drivers are super fast. He blasted by me and I couldn’t keep up! He ended getting 2nd place in his class. His mods where pretty minimal compared to the other TT cars. I did notice he i on Federal RSR tires which was a tire I was interested in becuase of its cheap price. He gave some good insite on these tires. Anther reason that its the driver the makes the car fast. 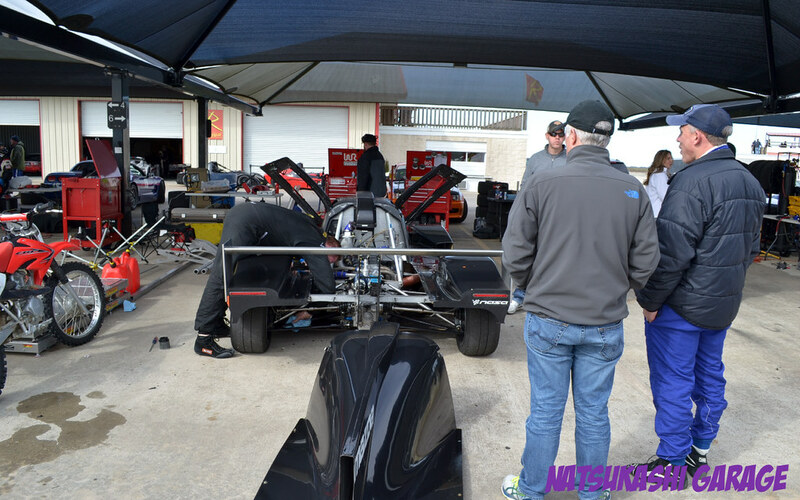 Some race team spend a lot of money just on traveling but makes sense since NASA has race events all over Texas. 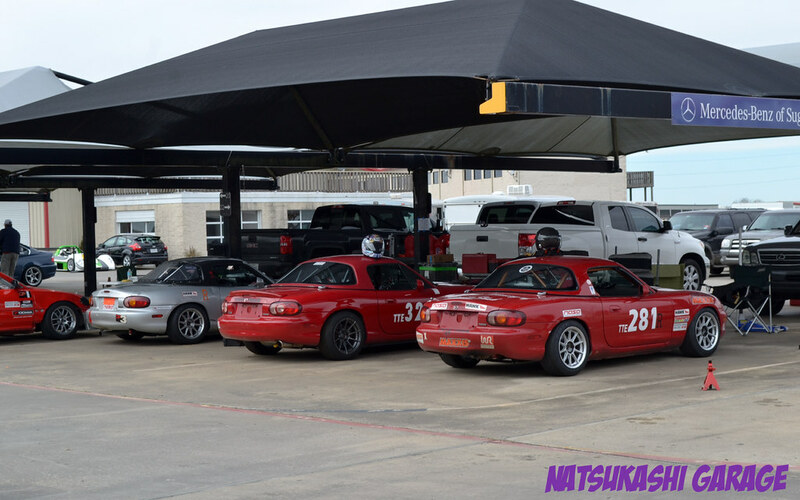 Even though its just amateur level, you get a sense of kind of money people spend to go racing. Thats it for now… Next track day is in March which gives me time to do some maintenance on the M3.